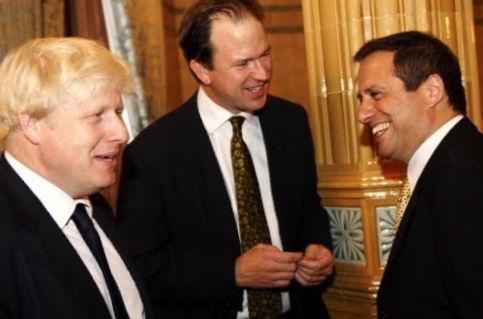 In 2010 Boris Johnson (in the photo with Jesse Norman, MP, author, Renaissance man, and unlikely but principled Government rebel, for whom I composed a birthday poem) commissioned me to compose an ancient Greek ode for the London Olympics 2012. The Mayor knew about my Pindaric Ode to Athens of 2004, as he had been editor of the Spectator at the time and ran a short piece on it. 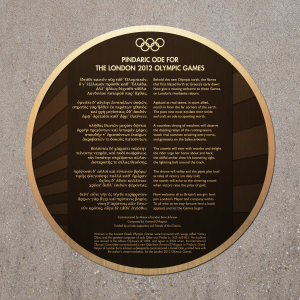 The Athens Ode had been commissioned by senior IOC member Dame Mary Glen-Haig, who recited it at the closing session on 29 August of the International Olympic Committee at the Athens Olympics 2004, as Philip Howard reported in The Times. τό γ᾽ ἐξέλαμψε πρόσθε κὰτ ῎Ελλαδα. Applaud! And let the Games begin. 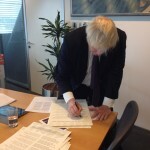 The Mayor declaimed the Ode to tumultuous applause at the IOC Gala in the Royal Opera House on 23 July 2012 (see ‘Boris steals the show‘, and a snippet of his performance before Royals, worthies and celebrities here). I happened to be seated next to Eddie Izzard – what an interesting, multi-talented entertainer he is. Boris introduced it by saying ‘I know that many of you will spot instantly that these verses are in alcaics rather than dactylo-epitrites — but you can’t stop progress!’ About two people got the joke, but it sounded funny anyway. 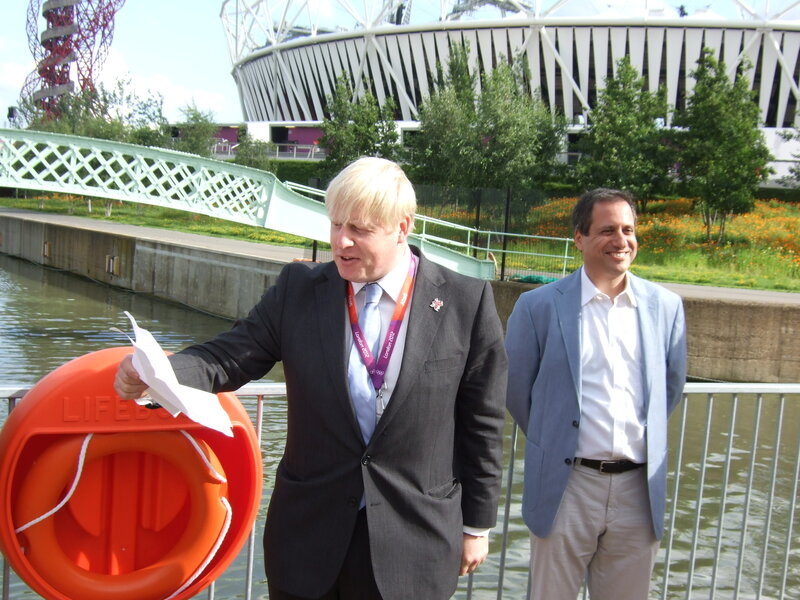 Boris subsequently declaimed the Ode at the unveiling of the plaque in the Olympic Park (Youtube link on left). I said a few words to introduce it. 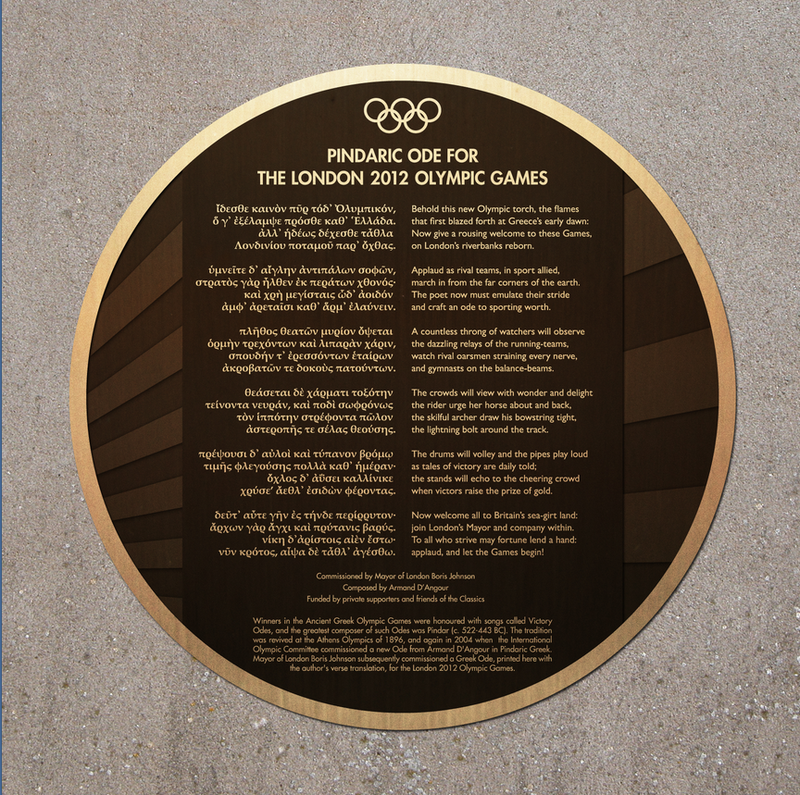 To read the official text in Greek and English, click on the image on the right.The Plaque, paid for by private sponsors including the Lord Mayor of London David Wootton and friends of the Classics, is embedded for posterity (or ‘legacy’) by a bridge in the Olympic Park overlooking the Orbit and the stadium. Sponsors were rewarded with a print of the Ode in English and Greek signed by the Mayor. 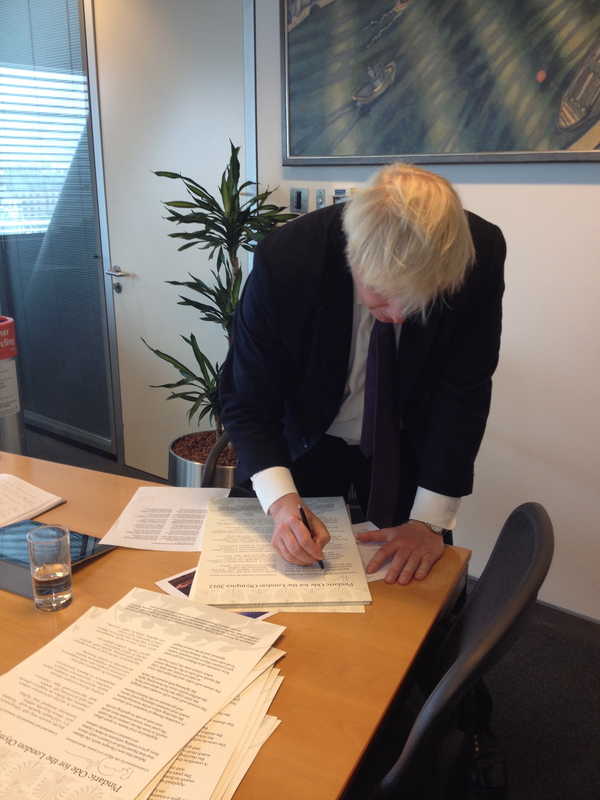 Photo (10 July 2012): The Mayor signing memento copies of the Ode in his office at City Hall. My expert advisers on versification and style were Dr Ben Henry, Prof. David Kovacs, Dr John Birchall, and Colin Sydenham, to all of whom I am very grateful. Thanks to the Plaque’s sponsors I can claim that I have ‘raised a monument in bronze’ — or to use Horace’s words: exegi monumentum aere. Victory Odes date from the ancient Olympic Games, when poets such as Pindar composed songs (which is what ‘ode’ means) in honour of winning athletes. At the first modern Olympic Games in 1896, an Oxford scholar, George Stuart Robertson, composed a Pindaric Ode and recited it at the closing ceremony of the Games in Athens. Of London town I sing, of you! who proudly claims to be your son. The alma mater of my praise! Now pray we for an age of peace! to vaunt their prowess — on the dais! raise up the gold, and bless his luck! You win the greatest prize of all!